Stanley Insurance Agency is an insurance company located in Austin that offers several auto insurance coverages since 1983. 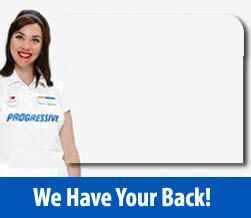 We are also a authorized Progressive insurance agent, that can provide you with a well known and trusted insurance coverage. If you own and drive a vehicle, Texas law says you need some type of auto insurance. How much and what kind differs from one state to another. But no matter what the law states, you have to be insured, because if you get in an accident, it could get very expensive. If you are in need of auto insurance, please contact us today to speak to one our friendly insurance agents. We provide a fast and easy way for you to get a free auto insurance quote from us through our online form. If you have any questions about the process, or would like more information, please give us a call at our midtown or south Austin location. We hope to provide great customer service and insurance coverage to you soon! Dependable coverage from knowledgeable agents. Stanley Insurance does car insurance right!